Now it is up to us to study the Book of Mormon and learn of its principles and apply them in our lives. I look forward each month to the arrival of this wonderful magazine, the Ensign. 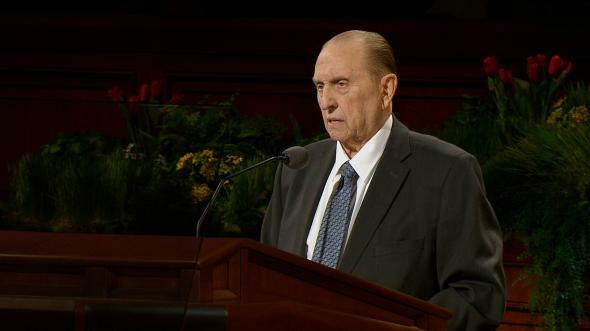 It fortifies me with messages from the First Presidency, which are included in each issue. 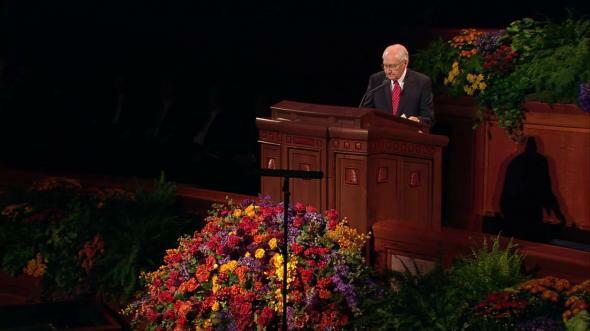 The August issue of the Ensign and Liahona brought with it a challenge from President Hinckley to read or reread the Book of Mormon before the end of the year. “Its appeal is as timeless as truth, as universal as mankind. It is the only book that contains within its covers a promise that by divine power the reader may know with certainty of its truth. 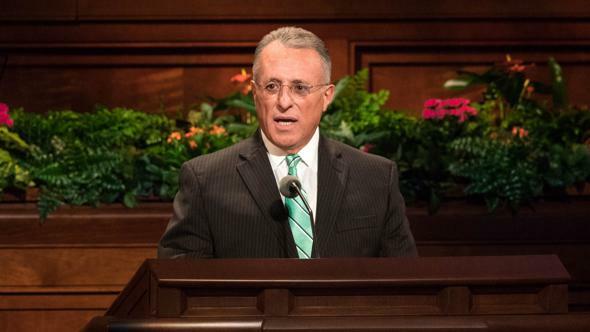 “No other written testament so clearly illustrates the fact that when men [and women] and nations walk in the fear of God and in obedience to His commandments, they prosper and grow, but when they disregard Him and His word, there comes a decay that, unless arrested by righteousness, leads to impotence and death” (“A Testimony Vibrant and True,” Liahona and Ensign, Aug. 2005, 4–5). 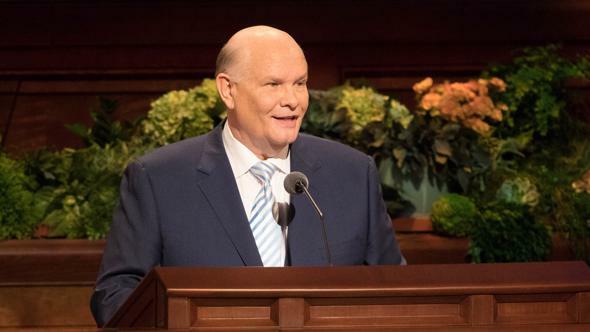 “Wherefore, for this cause hath the Lord God promised unto me that these things which I write shall be kept and preserved, and handed down unto my seed, from generation to generation, that the promise may be fulfilled unto Joseph, that his seed should never perish as long as the earth should stand” (2 Ne. 25:21). “And no one need say [these records] shall not come, for they surely shall, for the Lord hath spoken it; for out of the earth shall they come, by the hand of the Lord, and none can stay it; and it shall come in a day when it shall be said that miracles are done away; and it shall come even as if one should speak from the dead. “And it shall come in a day when the blood of saints shall cry unto the Lord, because of secret combinations and the works of darkness. “And there shall also be heard of wars, rumors of wars, and earthquakes in divers places. “Yea, it shall come in a day when there shall be great pollutions upon the face of the earth; there shall be murders, and robbing, and lying, and deceivings, and whoredoms, and all manner of abominations; when there shall be many who will say, Do this, or do that, and it mattereth not, for the Lord will uphold such at the last day. But wo unto such, for they are in the gall of bitterness and in the bonds of iniquity” (Morm. 8:26–31). “The Book of Mormon was written for us today. God is the author of the book. It is a record of a fallen people, compiled by inspired men for our blessing today. Those people never had the book—it was meant for us. 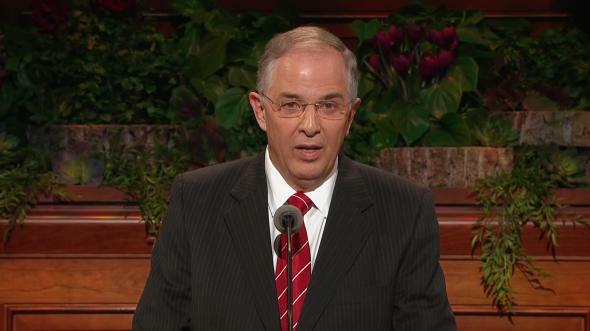 Mormon, the ancient prophet after whom the book is named, abridged centuries of records. 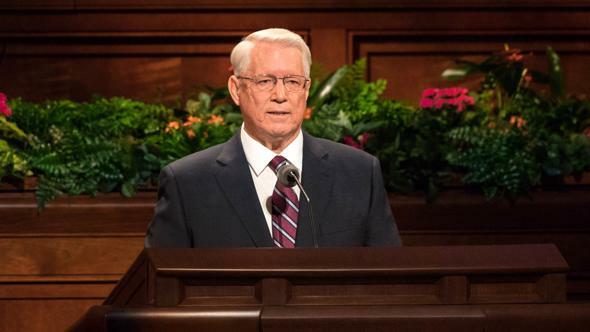 God, who knows the end from the beginning, told him what to include in his abridgment that we would need for our day” (“The Book of Mormon Is the Word of God,” Ensign, May 1975, 63). 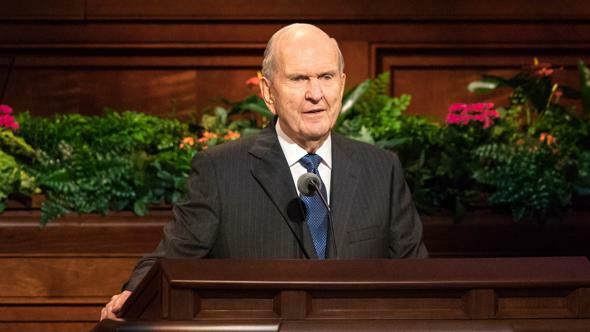 How often we read the record primarily as a history of a fallen people, failing to remember that it was compiled by inspired prophets for the purpose of helping us come unto Christ. The major writers of the Book of Mormon did not intend it to be a history book at all. In fact, Jacob said that his brother Nephi commanded him that he “should not touch, save it were lightly, concerning the history of this people” (Jacob 1:2). Among the lessons we learn from the Book of Mormon are the cause and effect of war and under what conditions it is justified. It tells of evils and dangers of secret combinations, which are built up to get power and gain over the people. It tells of the reality of Satan and gives an indication of some of the methods he uses. It advises us on the proper use of wealth. It tells us of the plain and precious truths of the gospel and the reality and divinity of Jesus Christ and His atoning sacrifice for all mankind. It informs us of the gathering of the house of Israel in the last days. It tells us of the purpose and principles of missionary work. It warns us against pride, indifference, procrastination, the dangers of false traditions, hypocrisy, and unchastity. The Book of Mormon begins with a great story on the importance of families having and using the scriptures. Lehi, a prophet-father, was warned that there were people who were seeking to take away his life because of his declarations concerning their wickedness. He was instructed to take his family and flee. “And it came to pass that he departed into the wilderness. And he left his house, and the land of his inheritance, and his gold, and his silver, and his precious things, and took nothing with him, save it were his family, and provisions, and tents, and departed into the wilderness” (1 Ne. 2:4). After journeying some distance, Lehi had a dream in which the Lord said that they should not journey farther without returning to Jerusalem and obtaining the record of their fathers which was engraven on plates of brass. These plates also contained the words of the prophets and commandments of the Lord. The assignment was given to Lehi’s four sons to make the journey back to obtain the record. Upon arriving at Jerusalem, they cast lots to decide who would go to the house of Laban and ask for the brass plates. The lot fell to Laman. He approached Laban, “and behold, it came to pass that Laban was angry, and thrust him out from his presence; and he would not that he should have the records. Wherefore, he said unto him: Behold thou art a robber, and I will slay thee” (1 Ne. 3:13). Laman escaped with his life but without the brass plates. One thing that strikes me about this first attempt is that the brothers did not seem to have a good plan. This teaches us an important lesson that we can apply to our study of the scriptures. Let us show our commitment to reading the Book of Mormon by approaching our study with a specific plan. In his article in the Ensign and Liahona, President Hinckley issued “a challenge to members of the Church throughout the world and to our friends everywhere to read or reread the Book of Mormon.” Then he offered us a plan to accomplish the challenge: “If you will read a bit more than one and one-half chapters a day, you will be able to finish the book before the end of this year” (Liahona and Ensign, Aug. 2005, 6). August and September are now past history. According to President Hinckley’s plan, we should be reading now in the book of Alma—somewhere between chapters 4 and 12. Are you ahead of schedule or behind? “And it came to pass that we went in unto Laban, and desired him that he would give unto us the records …, for which we would give unto him our gold, and our silver, and all our precious things” (1 Ne. 3:16, 24). Nephi’s example teaches us that the blessings of the scriptures are far more valuable than property and other worldly things. Pursuing the things of the world can sometimes give us momentary pleasures but not lasting joy and happiness. When we seek after the things of the Spirit, the rewards are eternal and will bring us the satisfaction we seek through this mortal experience. President Hinckley has encouraged us to read the Book of Mormon to lift us above the things of the world, to enjoy the things of the Lord. 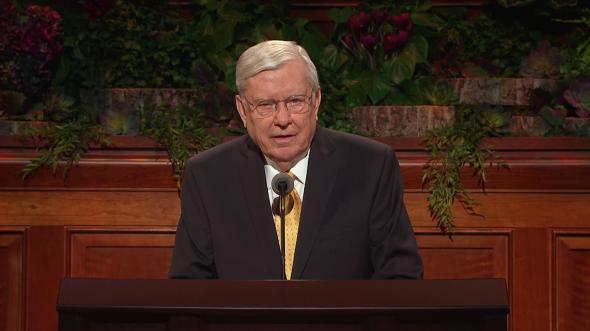 He said, “Without reservation I promise you that if each of you will observe this simple program, regardless of how many times you previously may have read the Book of Mormon, there will come into your lives and into your homes an added measure of the Spirit of the Lord, a strengthened resolution to walk in obedience to His commandments, and a stronger testimony of the living reality of the Son of God” (Liahona and Ensign, Aug. 2005, 6). These blessings are far more valuable than material possessions. When Nephi and his brothers offered to exchange their wealth for the brass plates, Laban stole their property and tried to take their lives. Thoroughly discouraged after yet another failed attempt, Laman and Lemuel again wanted to give up on what they felt was an impossible task. Nephi, however, was unwavering in his commitment to obey the Lord’s commandments. He reasoned with his brothers this way: “Let us go up again unto Jerusalem, and let us be faithful in keeping the commandments of the Lord; for behold he is mightier than all the earth, then why not mightier than Laban and his fifty, yea, or even than his tens of thousands?” (1 Ne. 4:1). Approaching the assignment with faith in the Lord brought the desired result. As Nephi went forward to obtain the record, being led by the Spirit, Laban was delivered into his hands. Through his faith and obedience, Nephi secured for himself and his family the blessings of having the scriptures. 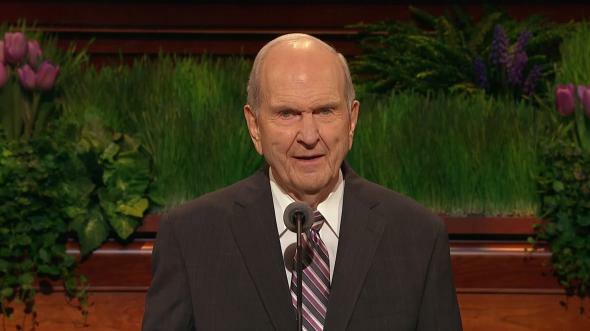 Now, with the brass plates in their possession, Nephi and his brothers could return to their father in the wilderness and continue their journey. “Yea, come unto Christ, and be perfected in him, and deny yourselves of all ungodliness; and if ye shall deny yourselves of all ungodliness, and love God with all your might, mind and strength, then is his grace sufficient for you, that by his grace ye may be perfect in Christ; and if by the grace of God ye are perfect in Christ, ye can in nowise deny the power of God” (Moro. 10:32). This is the year we celebrate the 200th anniversary of the birth of the Prophet Joseph Smith. The Book of Mormon provides convincing evidence of the Prophet Joseph’s ministry and of the Restoration of the Church of Jesus Christ. 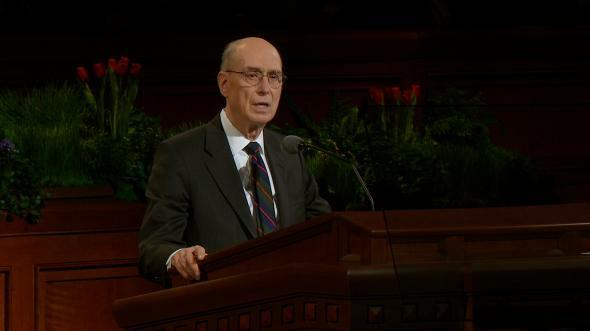 President Hinckley, in the last general conference in April, said this about the Book of Mormon: “It is a tangible thing that can be handled, that can be read, that can be tested. 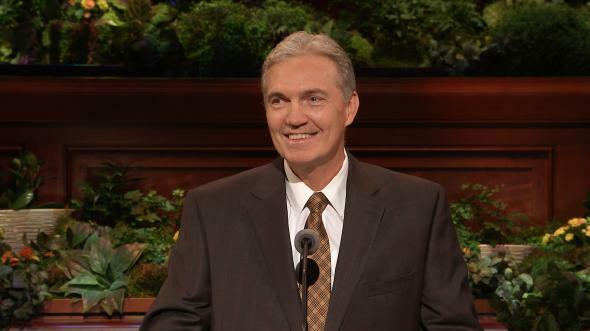 … I would think that the whole Christian world would reach out and welcome it and embrace it as a vibrant testimony. 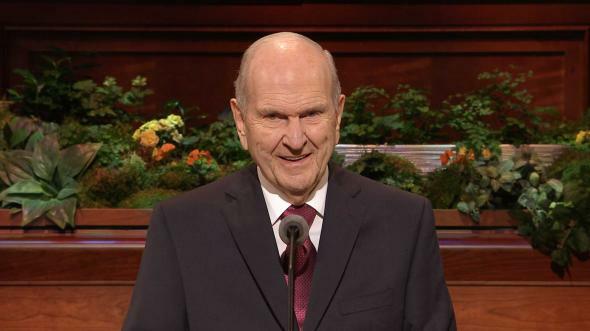 It represents another great and basic contribution which came as a revelation to the Prophet [Joseph]” (“The Great Things Which God Has Revealed,” Liahona and Ensign, May 2005, 82). I pray that each of us will read the Book of Mormon by the end of the year in response to the challenge of our current prophet, Gordon B. Hinckley, to honor the prophet of the Restoration, Joseph Smith. 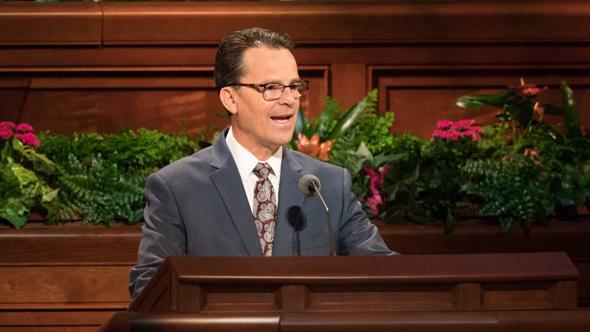 May we have a plan that we will follow in faith to taste and be filled with that which is of infinite and eternal value, even the word of God found in the Book of Mormon, is my humble prayer in the name of Jesus Christ, amen.